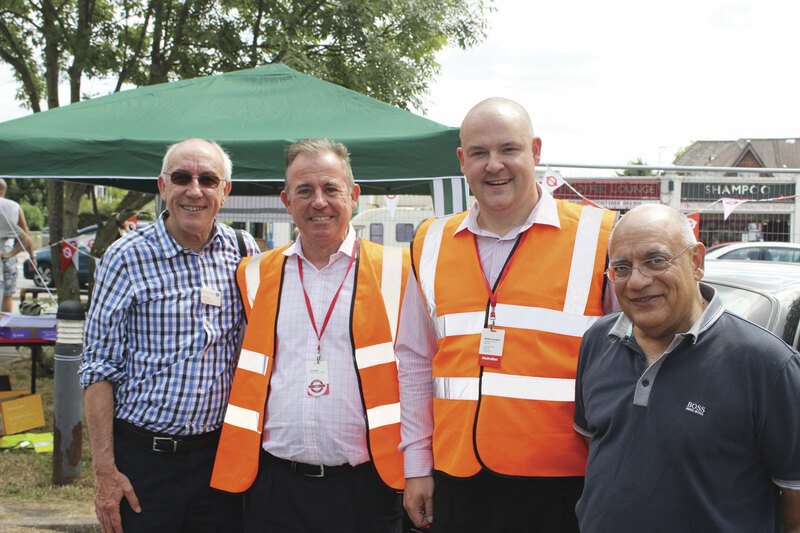 Leon Daniels, MD Surface Transport TfL: Jim Brady, Potters Bar Garage General Manager; Matt Doughty, Potters Bar Operations Support Manager: and Metroline CEO, Jaspal Singh. We covered the Open Day event at Quality Line’s premises a few week’s ago which tied in with the 95th anniversary of Epsom Coaches, and last weekend saw the spotlight move to the third largest Metroline garage at Potters Bar in Hertfordshire, the most northerly of Metroline’s 14 London garage facilities and the only located outside the M25 ring. It has a tradition of holding successful open days, this being the eighth. Adults visiting were charged £2.50 entry, with all proceeds going to the British Heart Foundation, and for that there was a useful programme included. A more detailed history of the operation’s early years could be purchased for a further £2.00. It seemed to me, judging by the amount of people who were asking about them as they came in, that a big draw was the free bus rides that left regularly from the garage concourse on seven different routes. 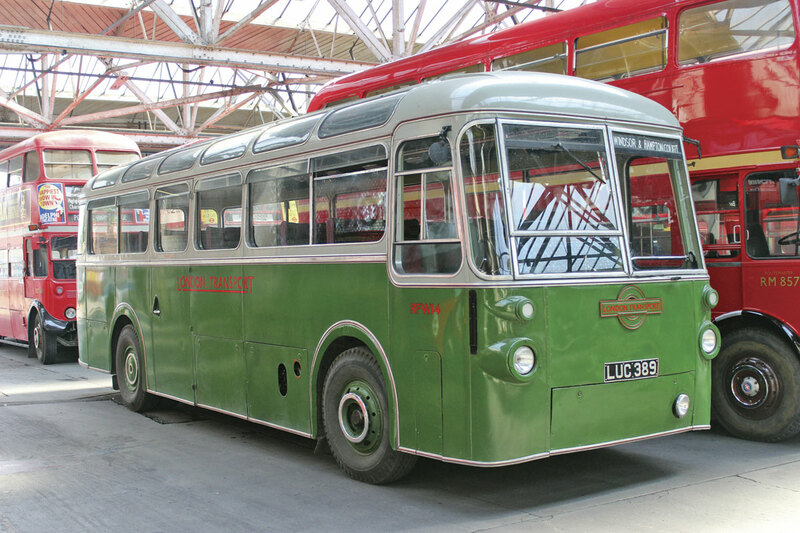 No less than 154 such departures were scheduled during the day and the variety of buses mustered to operate them was considerable, many of them well over 60 years old. 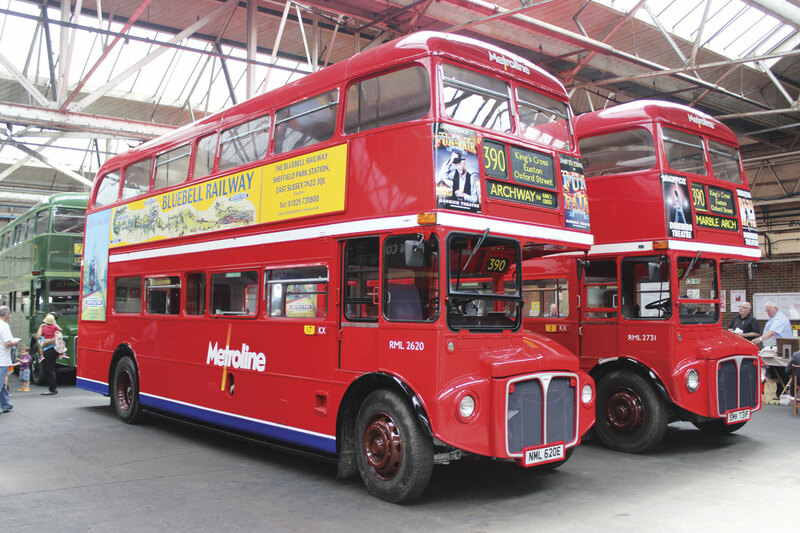 Speaking on the day to Metroline CEO, Jaspal Singh, who has now been in the role for more than a decade, he said that Metroline liked to hold regular open days where it was possible to do so, though at some locations it wasn’t. Others had been held at garages including Holloway, Willesden and Alperton. He welcomed the beautiful weather after last year was a bit wet and praised the magnificent commitment and enthusiasm of all those who had given up their time to organise and run the day. 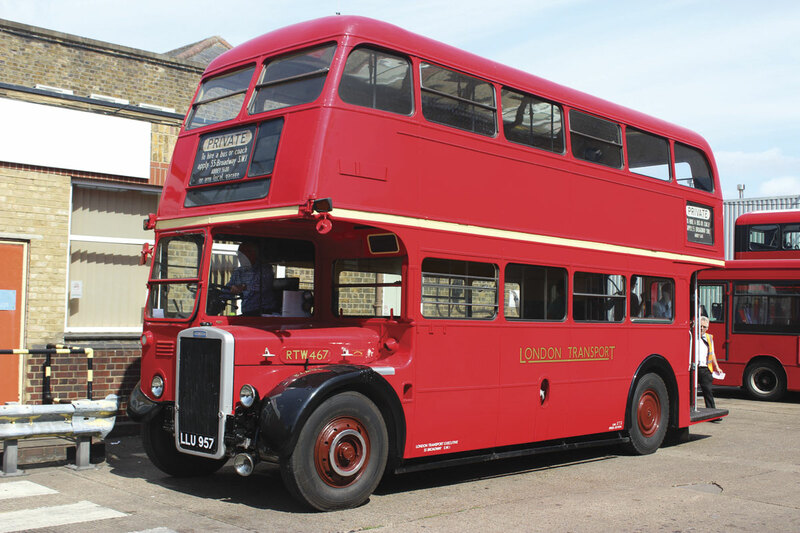 Opened on 28 May 1930 by the Overground subsidiary of the London General Omnibus Company (LGOC), it’s a depot with a chequered career that has come to being closed down on a number of occasions but always survived, now operating more buses than at any stage in its history. The current allocation is 171 (a PVR of 153 plus 18 engineering spares). 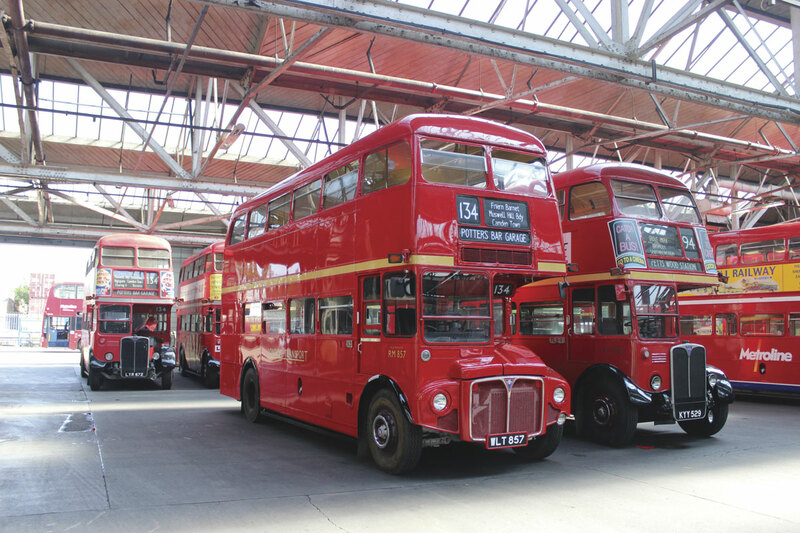 In comparison, in 1952 the PVR was 68 (all RT type AEC Regents); in July 1966 it was 48 (mostly RT but with 14 Routemasters for the 134); November 1976 it was 43 (mostly DM/DMS type Daimler Fleetlines with six AEC Merlins and the solitary rear engine FRM type Routemaster); and in February 1987 it was 39 (all M type MCW Metrobuses apart from four Leyland Nationals). Potters Bar, along with Holloway and Harlesden were part of the London Northern operation. 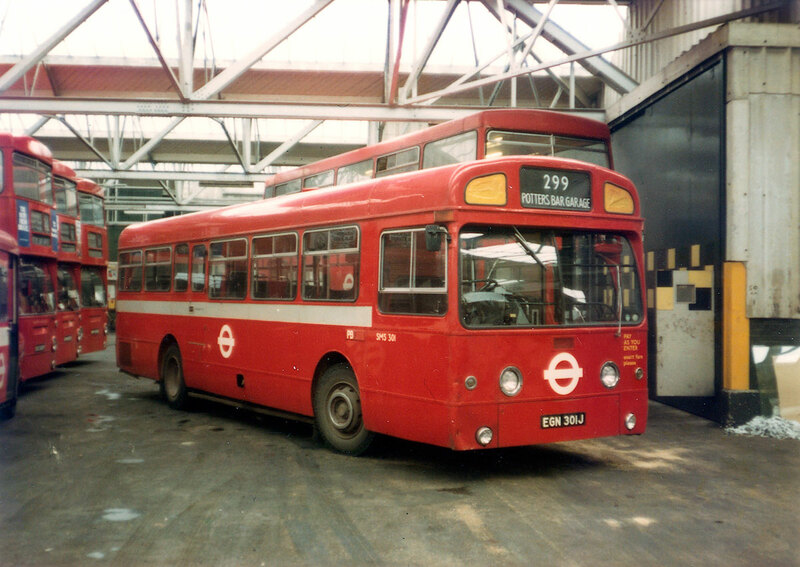 When London Transport’s bus fleet was privatised, it became part of MTL London in October 1994 and was acquired by Metroline in August 1998. 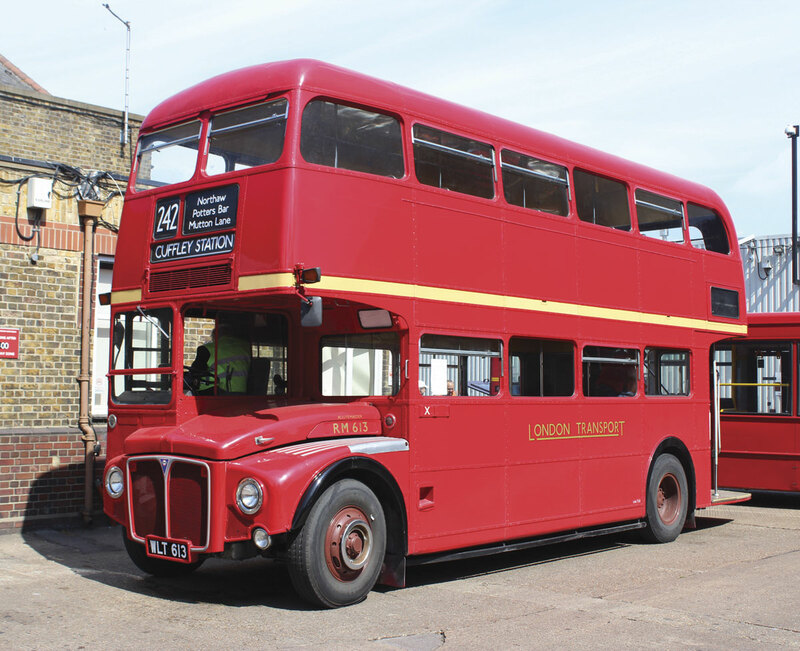 One of the preserved Routemasters present carried the MTL London livery. Garage Manager at Potters Bar is Jim Brady, who transferred there in January after 14 years at Alperton and before that 14 years at Westbourne Park. He is supported by Operations Support Managers, Matt Doughty and Martin Loughlin; Engineering Manager, Chris Evans: Assistant Engineering Manager, Eddie Hobbs; and Service Delivery Manager, Martin Norton, who together make up the garage’s senior management team. Together they are responsible for a team that includes 450 drivers, 24 engineers and 28 supervisory staff including controllers and the administration team. Cleaning is outsourced and involves a team of 15 people. Jim and Matt explained more about what the depot does today. It is relatively unusual among garages undertaking TfL contracts in that this is not the only work it does; it also has its own commercially operated routes. The bulk of the workload is TfL contracts and there are currently 13 of them including two night services, the N20 from Barnet Church to Trafalgar Square and the N91 from Cockfosters Station to Aldwych. The biggest commitment is on the 82 service between North Finchley and Victoria which requires 25 2014 Enviro400s to operate it. Other routes are: the 34 from Barnet Church to Highbury Barns; the 125 from Finchley Central to Southgate Station; 217 Waltham Cross to Turnpike Lane; 234 from Barnet Spires to Highgate Wood; 263 Barnet Hospital to Highbury Barns; 383 Barnet Spires to Woodside Park Station; 384 Quinta Drive to Cockfosters Station; the 634 school bus service between Barnet Hospital and Muswell Hill Broadway; and the W8 and W9 services which link Chase Farm Hospital with Pickets Lock Centre and Southgate Station respectively. 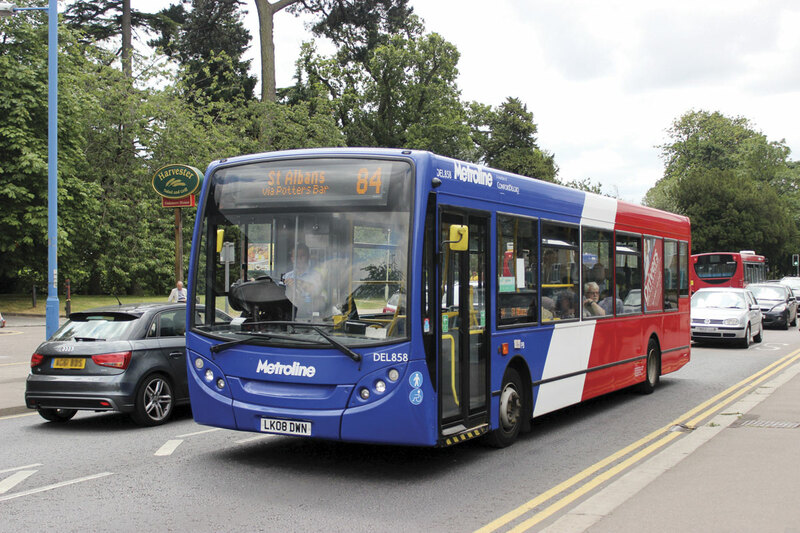 The 383 contract is soon to be relinquished to Uno while the 361 between St Albans and Brickett Wood (which Uno handed in) is currently being operated on a short terms basis along with the S8/S9 Marshalswick to St Albans local services. 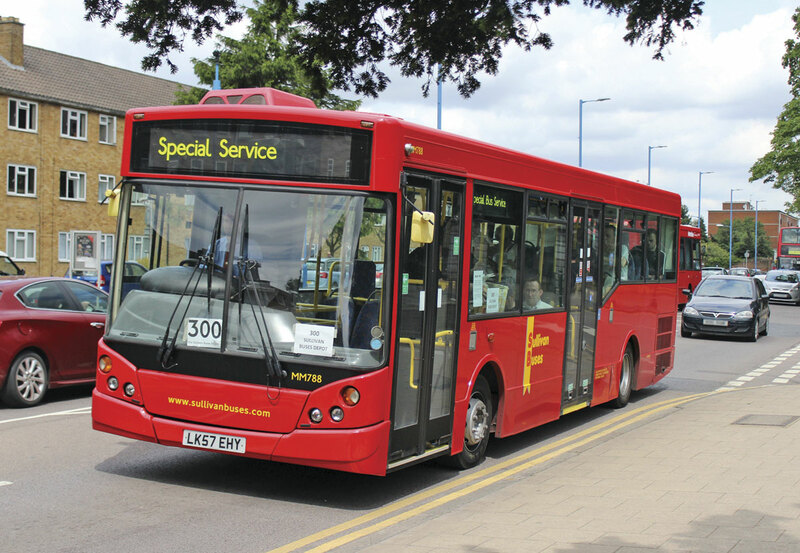 Scheduled to be taken on from December is the 307 service between Barnet Hospital and Brimsdown which was formerly operated by Arriva London North. 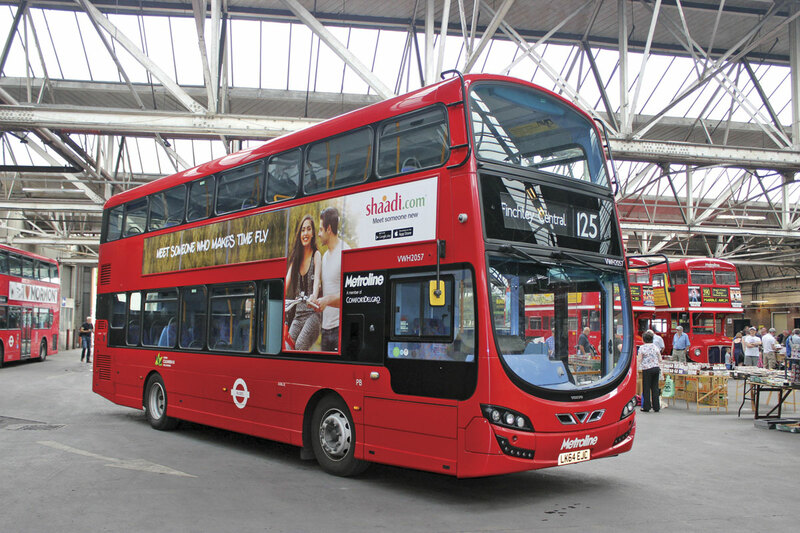 This will see 16 more Enviro400s displaced by New Routemasters on the 16, transferred from Cricklewood to Potters Bar. On the commercial side, the key route is the 84 between Barnet and St Albans. Offshoots of this are the 84A from New Barnet Station to St Albans and the summer Sundays only 84B which serves the Butterfly World attraction. 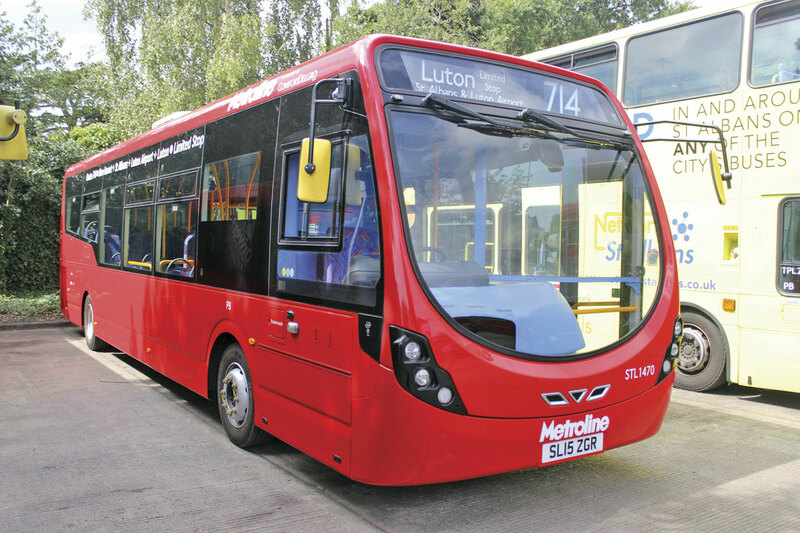 A new commercial service that started a couple of weeks ago is the 714 from new Barnet to Luton Interchange via Luton Airport which employs ADL Enviro200 single deckers. 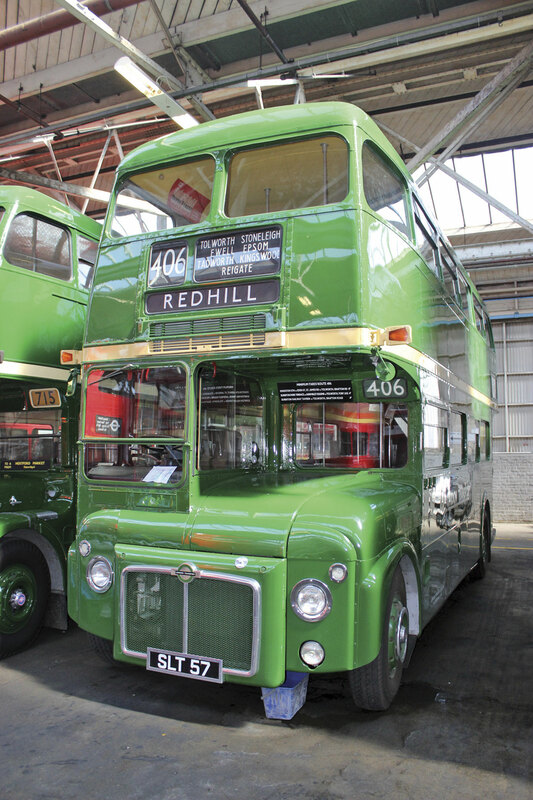 Many will recognise London route numbers in the 700 series as former Greenline services, and there was another 714 in the past that started in 1946 between Baker Street and Dorking but was extended in 1951 to Luton, taking in North Finchley, Barnet, South Mimms, London Colney, St. Albans and Harpenden. This had continued until the late 1970s when it disappeared. Other commercial provision includes the 242 linking Potters Bar Station and Waltham Cross and the PB1 Potters Bar town service. 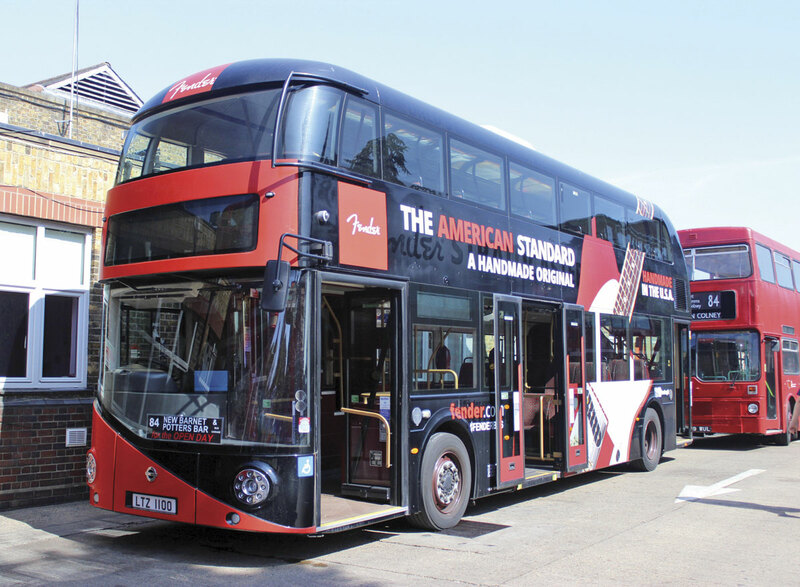 As well as ADL Enviro400s, the allocation includes: 38 new Volvo Wright Hybrids for the 34 and 125; both 9.9m and 10.5m Plaxton President bodied Tridents for commercial routes; 8.9m, 9.6m and 10.8m Enviro200s; 9.2m Plaxton Pointer 2 bodied Dart ALFs; and a Wright StreetLite Door Forward demonstrator on hire for use on commercial services. 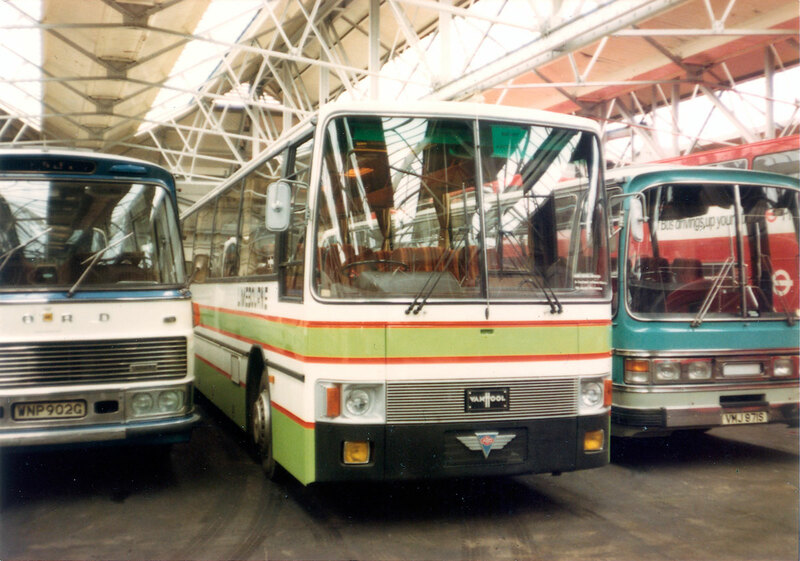 It is interesting that Potters Bar should run so many Alexander Dennis vehicles today because when the company started operations a sizeable percentage of the fleet was of Dennis manufacture. Unique to the Metroline operation is its Central Engineering Logistics Facility (CELF) at Perrivale which not only undertakes engineering work for Metroline but also many of the other London operators. An unusual aspect of Potters Bar garage is that from 1962, when it moved from premises at 25-27 Vauxhall Bridge Road, London SW1, to 1984, when it relocated to the Brimsdown site in Enfield, Arlington Motor Company’s coach dealership shared the garage with London Transport. This arrangement no doubt helped to secure Potters Bar’s survival into the modern era, when it has really come into its own. 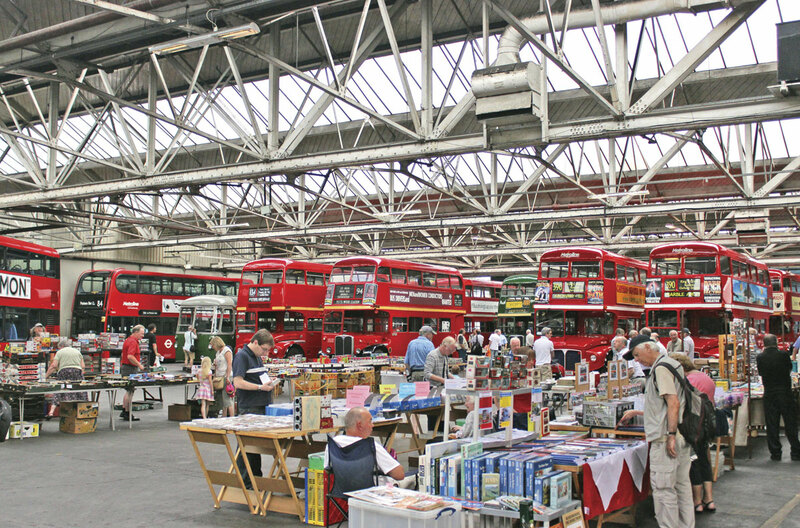 Arlington occupied the right hand side of the depot while London Transport used the left. Arlington also had use of the parking space outside at the far right of the building, next to what was then the staff car park, as well as several offices which were occupied by the PSV sales manager, an administration office, a sales/reps office and an internal office for the Arlington foreman and cleaners who looked after the stock. I’m grateful to Maurice Bateman for supplying me with these details and reminding me that Arlington used to hold their PSV shows inside the garage too. He believes they used to have something like 40-odd coaches on site most of the time. 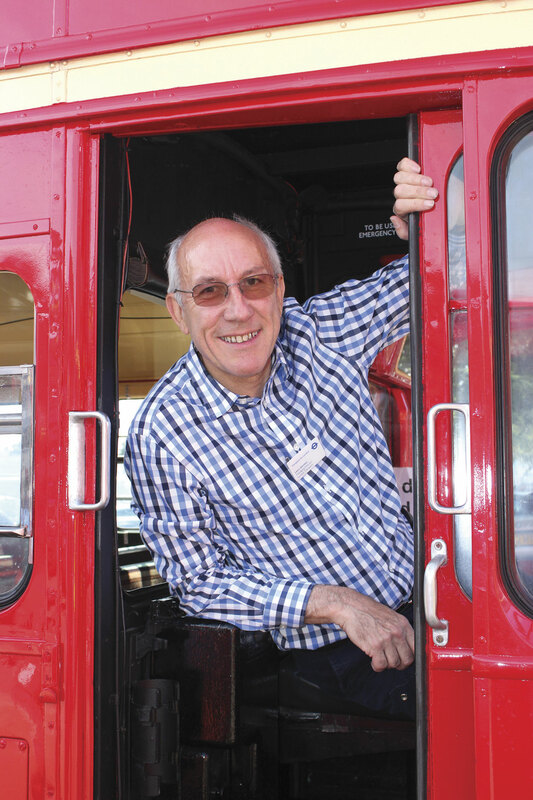 Maurice joined Plaxtons in 1969 and used to call at Potters Bar as it was in his area, working with them on numerous deals. He later worked for Arlingtons as Sales Contract Manager at Brimsdown. 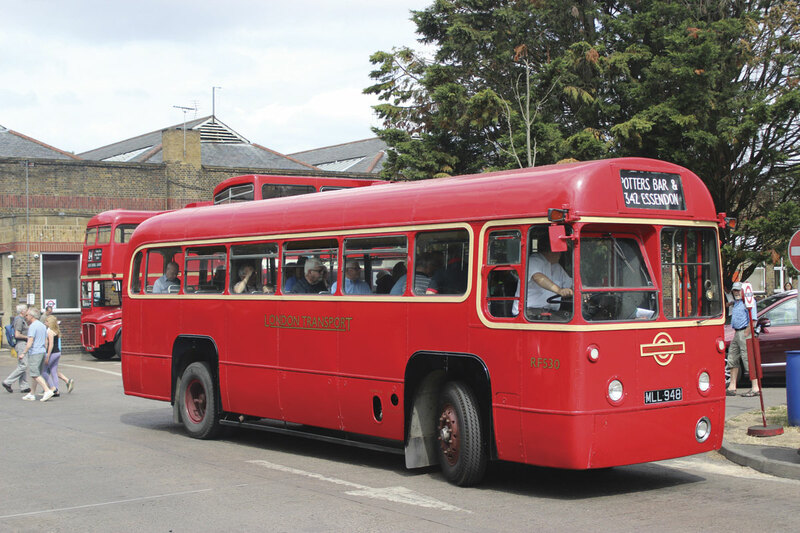 Among those who worked for Arlingtons at Potters Bar were Sales Manager, Colin Kitson and Bob Vale, who was a salesman there and later went on to be Sales Manager – New Vehicles himself, before starting the business that still carries his name. This was a great day out that appeared to be as much enjoyed by the staff and management at all levels as by the continuous stream of visitors of all ages passing through the gate. It is difficult to estimate how much goodwill such open days generate but I feel sure that it is a considerable amount, on top of which the £1290.45 collected will now be going to the British Heart Foundation. TfL will be supporting further Open Days this year with events scheduled for Camberwell on 5 September and Willesden on 19 September. 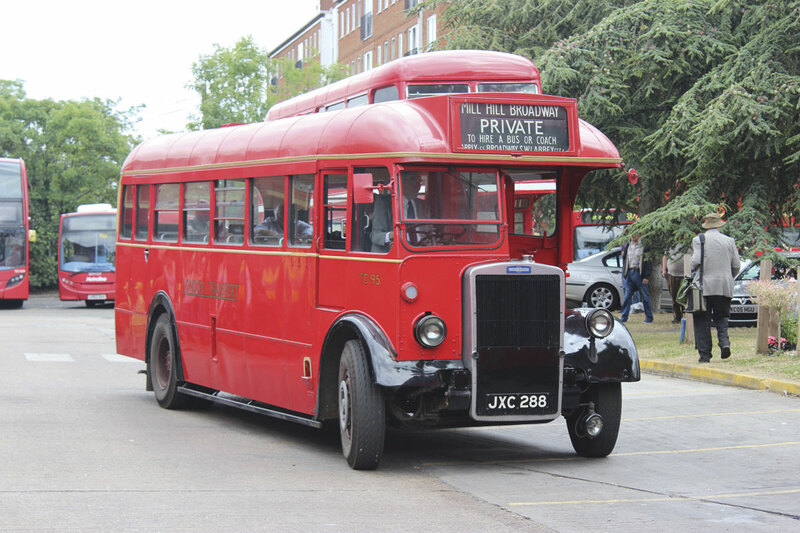 Another will be held at Westbourne Park garage later in the year but the date for this has still to be finalised.